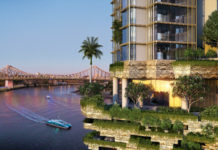 The developer behind the 1127 apartment project is Melbourne-based Orion International Group and plans to build a super-scraper at a site near Q1, bordering Enderley Avenue, Surfers Paradise Blvd and Markwell Avenue in Surfers Paradise. 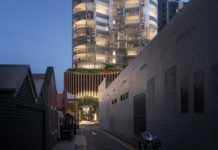 Tower 2, the taller tower is proposed to rise 328m high (103 storeys) with Tower 1 rising to 240m high (76 storeys), effectively beating Australia’s current tallest proposal ‘Australia 108’ (317m) in Melbourne by 11 metres. 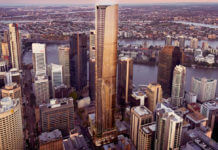 Orion Towers will also finally surpass the top of Q1’s spire by 6m which has held the title of Australia’s tallest tower since it’s completion in 2005. Originally proposed to be Queensland’s tallest skyscraper, the 89 level $1.2 billion Spirit Tower (297.8m) in central Surfers Paradise appears to have been beaten in height even before site excavation works have commenced. 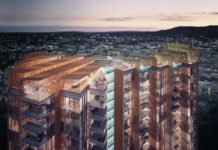 The landmark Orion Towers has been designed by architecture firm Woods Bagot and boasts a distinctive modern, cosmopolitan style with subtropical design elements. A 680 sqm penthouse on level 100 with ground floor concierge and private lift. Australia’s highest observation restaurant on level 101 of the tallest tower, offering 360-degree views. A 165-room, five-star hotel in tower 2 (the taller tower). A dedicated bike ramp into the carpark, with space for 600 bikes. A five-level, mixed-use podium including ground floor retail designed around a sculptural urban canyon. A lush garden deck and recreation area with five pools, including an indoor pool, an eastern pool to catch morning sun and a western pool for afternoon bathing. Twin indoor and outdoor residents’ lounges on level 49 of both towers. A private club on level 74 of the smaller tower for owners of the penthouse and sub-penthouses. A two staged project with the shorter 76 level tower being built first. A prominent elevated curved bridge known as the ‘Curious Ring’ which links either side of the podium levels will feature a unique LED matrix screen on the underside of the bridge. The screen will read images, subliminal, abstract or intended messages. It is proposed that this will become a key feature destination of the site. At the top of the tower, the architect has proposed the utilisation of media glass which is planned to light up the buildings at night and create a beacon like affect. Media glass is a relatively new technology where a matrix of LED nodes are embedded within glass to create imagery or colour wash affects. The development comprises of five ground floor retail tenancies as well as a restaurant, cafe and observation deck on level 101. The landscape architecture has been designed by Form Landscape Architects. A restaurant, gym, several lounge room areas, beach with water feature, child’s playroom, gardens, BBQ areas and shelters. Each tower consists of a recreation level on the 49th storey. Each deck comprises of a library, lounge, games room, pool with shallow sun lounge deck, teppanyaki tables, garden rooms with sun lounges and garden planters.  There is also a rooftop recreation level on the 75th storey of Tower 2 which will include a sky high pool and deck, steam room, gym and function room. The DA number for this development is MCU201601560. Love the tower, but it will never be the tallest building in the Southern Hemisphere (bar some extraordinary events) as 4 taller towers are currently under construction in Jakarta. …and Merdeka 118 in KL. None the less let’s hope the second stage taller tower gets achieved, the towers will work better as a pair. If Stage 2 were to be onsold, it may be open to rationalisation.